You can enjoy nature from casual trekking to full flight climbing! 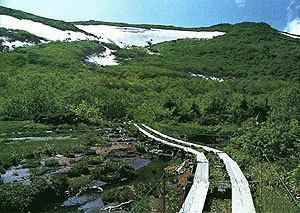 Otarimura · Tsugaike Nature Park is a place on the clouds where alpine plants are in full bloom along with the arrival of spring. The Tsugaike Nature Park spreading on the hillside at 1,880 meters above sea level is a trekking course a total area of ​​100 hectares and a walking path of about 5.5 kilometers a week.Between the middle of June and the middle of August the beautiful alpine flowers are filled with alpine plants, and a pretty appearance pleases the eyes.In addition, there are wind blowing cold winds in summer even in the summer, ripples of cold snow melting like ice and so on, you can enjoy nature with your body. While enjoying the aerial walk Tsugaike Panorama Way, if you climb up to altitude of 1,880 m at a stretch, you will reach Tsugaike Nature Park spreading on the hillside of Hakuba Mt Norikura. It is a hiking course where you can enjoy the casually with a total area of ​​100 hectares, a walking course 5.5 km per week, approximately 3 and a half hours course, a Visitor Center is also available. Mizubashi and Ryukinka begin to bloom in late May from the 1,900 m altitude to 2,000 m in Japan, and full of pretty flowers of alpine plants until the end of September tricaput flowers bloom.Also, the promenade is rich in change, and in the middle there are cold winds blowing out in the summer and ripples of cold snow melting water like ice, so you can enjoy nature naturally with your body. Late September The opening of the autumn leaves season is about to begin when the first snow dances to the North Alps.The red sky of Nanakamado typified by "Hakuba's three-stage autumn leaves", the yellow of Daikekeba and Maple shines in the green of Oshirabisso and entertains the eyes. Happo Mt. Foot Station to Happo Pond Villa (1st Cairn) take a 6-seater gondola "Adam" and a four-seat lift (2 units) and take a 24-minute walk in the air. 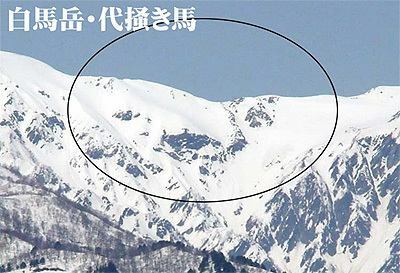 Ridgeline of Karamatsudake (2,696m), Hakuba Happo-One but became a place known name in the world are held Nagano Winter Olympics, is so because the origin of the name is a four-way Happo can view and climb. We arrive at Happo Pond Sanso with an altitude of 1830 m.Immediately behind you there is the 1st Cairn and it will join the "Happo One ness Natural Research Route" starting from Kuro Ryori.Walking from here It takes about 1 and a half hours to reach the Hakka Happo Pond, which is about 2060 m in length and about 200 m in length, where Kurosushoshio and Moriaogael live. Around this area there are over 330 alpine plants and boasting the largest variety in Japan, with many alpine plants unique to Happo One.Although it is a subalpine belt, alpine plants such as Pinus densiflora can be seen, and since there is a forest zone above the forest zone, the vertical distribution of plants is reversed, so we have received a prefectural natural monument designation. 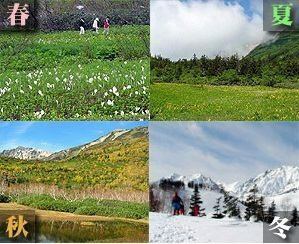 The abundance of alpine plants and the North Alps approaching the immediate front, the large panorama of Yatsugatake / Hokushin Gotake far behind will be unforgettable memories.Happo is a 10-minute walk from Happo mountain foot station to the Olympic jump station. 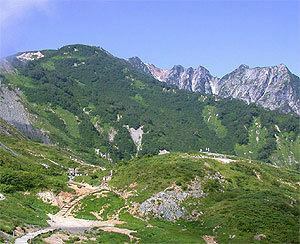 Located at the northern tip of the North Alps, the Tsugaike Plateau has long been known as a gateway to mountain climbing.In recent years, since "Tsugaike Panorama Way" has opened to Tsugaike Nature Park Chubu Sangaku National Park in Chubu Sangaku National Park, it is now easy for elderly people to enjoy trekking in 2000 m class. 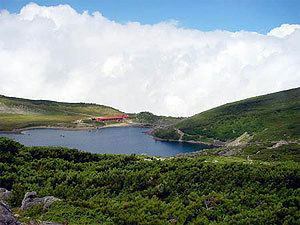 "Tsugaike Kohgen Hotel" adjacent to that panorama way departure station can be used as a great base camp.The staff has a wealth of guidebooks of mountain experiences and will advise at any time. Hakuba Oike Lake is a cryogenic lake made of Hakuba Mt Norikura volcanic activity at an altitude of 2.379 m, less than 3 hours from Tsugaike Nature Park, more than 2 hours back.First climb the steep slope surrounded by daikekeba and Oshirabiso trees.On the way, when the spacious wetland of Tenguhara is over, the steep rock climbing continues, until around the middle of August there are also snow riders walking and physical strength. 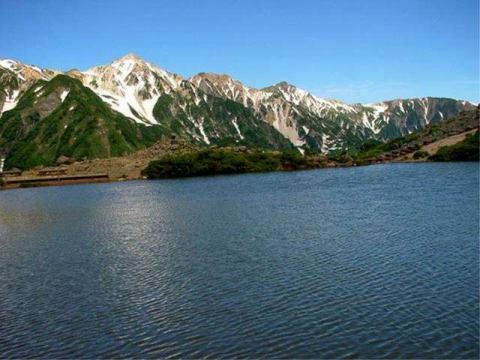 It is to Fubuki Oike Pond toward the right branch points to Hakuba Oike Lake climb from Nature Park entrance to the TenguharaThis road is called Chikuniage, and the view such as flower garden, Mt Yukikuratake, Mt Takatsuma and Mt Otsuma etc. 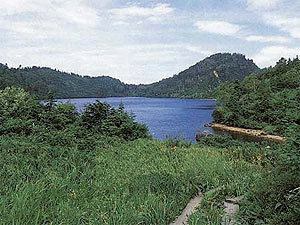 is opened and the view is wonderful.Mt Fusuburi top (1,944M) from the mystery that is surrounded by forest and Abies mariesii and birch go down the ridge lake, Fubuki Oike Pond you will see. Fubuki Oike Pond is the largest Takayama lakes in Japan with an altitude of 1,778 m, a circumference of 1,300 m, and a depth of 5.5 m.A mysterious lake surrounded by Shirabiso and Dakkamba.Because it is not well known, it is a treasure trove of nature with little human hands added.There are large and small ponds dotted with small Shinahachi Pond Koshiki Pond of Shinahachi Pond, blood Shinahachi Pond and others, and you can go around the boardwalk through Kaminotanbo, Tengu's original in about 90 minutes.If you have time to spare, it is also advisable to go around the Oike.It takes more than 3 hours on the way back on the same road so it is easy to turn the car to Tojuro descending to Kita - Otari station or to The end of Kitano forest road. I will introduce the famous paintings nature draws, snow shapes reflected in the North Alps. 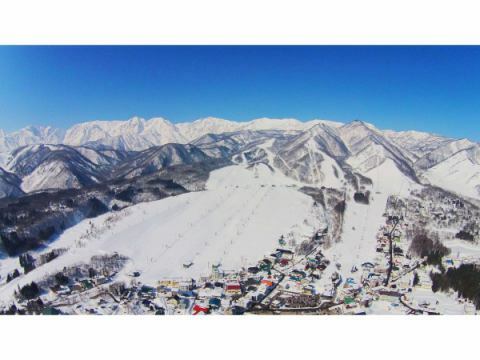 North Alps Hakuba Area The biggest gentle slope "Bell Ringing Hill Slope" · The field based on long course"Han Tree course" can be enjoyed by anyone, from beginners to experts. Work to make rice field muddy so that planting seedlings of rice is easy When squeezing (shirokki), a snow shape in the form of a horse appears in the lower right corner of the summit.It seems that this snow shape was called a scraping horse and used as a guide for agricultural work.It is said that the horse appears in the mountain, it is said to have called "Mt. Mae Maki (Shirouma only)". 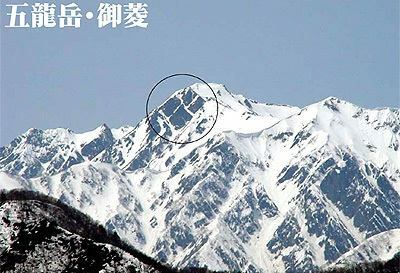 It turned into a white horse, and its name changed to "Hakuba", but still only the name of the mountain is called "Shirouma". In the old days, it was called "daito-yama".When placed under the control of Shogun Takeda during the Warring States Period, since the snow shape (rock form) appearing on this peak is similar to Takeda Ryoshi, the meaning of the territory is put in "Michi-dake (only)" It came to be called.It seems that it began to be called Goryu-dake since entering Meiji (time period).